One of the tenets of modern science is the importance of transparency in reporting. It is particularly important in research that has to do with human health, as the quality of research and results can have a direct impact on human life. In a nutshell, transparency refers to the open access of the audience to the author's data, reasoning, challenges, methods, and results. This openness allows the reader to understand each step of the research, as well as generalize those findings to other scenarios, and even replicate those findings on their own. 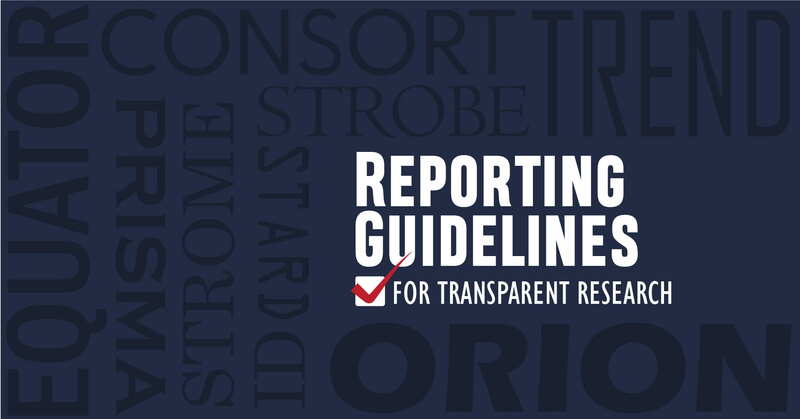 The guidelines, while helpful and representing the ideals in research reporting, are not universally required by academic journals, conferences, or other publishers. Some are of the opinion that the guidelines are not followed or enforced enough to make them a requirement. Others believe that they impose an unfair burden on researchers with smaller budgets or limited resources. Still others believe that these guidelines would stifle research publication by permitting only the best-reported studies to achieve publication. However, the guidelines so closely support the scientific method and evidence-based decision-making, that it would seem these guidelines (and their acronyms) are here to stay.